(ix) After the Eight Schedule to the Constitution a Ninth Schedule was added and thirteen laws passed by State Legislatures were included in it so that those Acts might not be challenged in courts. The main purpose of the Amendment was the removal of certain practical difficulties created by court decisions in several cases such as Kameshwar Singh vs. State of Bihar, Romesh Thapar vs. State of Madras, Brij Bhusan vs. State of Delhi and Motilal vs. Government of Uttar Pradesh. The issues involved in these cases were numerous, such as the scope of the fundamental right of freedom of speech, acquisition of Zamindari (land) of intermediaries, conflict between a citizen’s fundamental right to practise any profession, or to carry on any business or trade (Article 19) and state monopoly of any trade, and so on. The Second Constitutional Amendment Act amended Article 81 in order to remove the prescribed limit of 7,50,000 of the population for one member to be elected to the Lok Sabha. According to the original provision, at least on member was to be elected to the Lok Sabha for every 7,50,000 of the population. It was further provided that the maximum number of elected member to the Lok Sabha should not exceed 500. The Third Amendment brought about changes in the Seventh Schedule consisting of the three legislative lists and entry 33 of the Concurrent List was substituted by a new one. Article 31 and 31A were amended by the Fourth Constitutional Amendment Act. Clause (2) of Article 31 clause (1) of Article 31A were substituted by new clauses as. As a result of these, the adequacy of the quantum of compensation paid for the compulsory acquisition of property for ‘a public purpose’ could not be questioned in a court of law. It also amended Article 305 and the Ninth Schedule. The Constitutional Fifth Amendment Act amended Article 3. in the Constitution there was no time limit during which a State Legislature should express its boundaries, which the Centre may like to make. With the help of this amendment is was provided that the State will be required to express its views on such matters within such period as may be specified in the reference or within such further period, as the President may allow. In this Act, the Seventh Schedule to the Constitution was amended and in the Union List, a new entry was added after entry 92 in the State List, a new entry was substituted for entry 54. it also amended Articles 269 and 286 dealing with inter-state Sales-tax. The Seventh Amendment brought about the most comprehensive changes so fair in the Constitution. 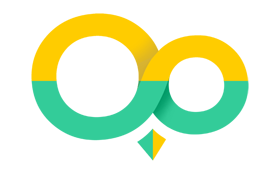 This amendment was designed to implement the State Reorganisation Act. The Second and Seventh schedules were substantially amended for the purpose of the States Reorganization Act. The Act extended the period of reservation seats in Lok Sabha and State Legislatures for the Anglo-Indians, the Scheduled Castes and Scheduled Tribes by another 10 years. It provided for the transfer of certain territories of India to Pakistan under and agreement between India and Pakistan as a part of a comprehensive settlement of border disputes between the two countries. The Tenth Amendment integrates the areas of Free Dadra and Nagar Haveli with the Union of India and provides for their administration under the regulation making powers of the President. It amends Article 71 so as to make it clear that the election of the President or the Vice-President shall not be the challenges on the ground of any vacancy for whatever reason in the appropriate electoral college. It also obviates the necessity of a joint meeting of the two Houses of Parliament (Article 66) by constituting them into an electoral college for the election of the Vice-President. 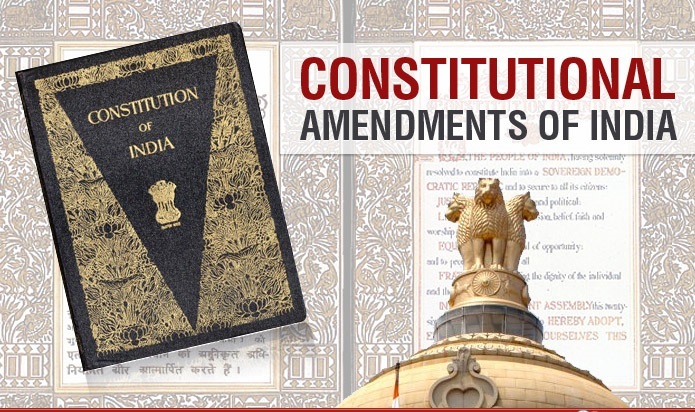 The main object of the Amendment was to add Union Territories of Goa, Daman and Diu to the Union of India and for this First Schedule of the Constitution was amended. The Act provides the creation of Nagaland as the Sixteenth State of the Union. The Amendment provides also for the vesting of certain special responsibilities in the Governor of Nagaland. The amendment provides for the incorporation of the former French Establishments in India, under the name Pondicherry, as an integral part of the territory of the Indian Union. it also amended Article 31 to increase, from a maximum 20 to 25, the number of seats assigned in the Lok Sabha for the Union Territories. The amendment raised the retirement age of High Court. Judge from 60 to 62 years. It also empowered the various High Courts to hear cases against to the Union Government. The Act seeks to enable Parliament to make laws provident penalty for any person questioning the sovereignty and integrity of India. Under the provisions of the this Amendment, a person shall not be qualified to be chosen to fill a seat in Parliament or in the Legislature of State unless, inter-alia, he maker or subscribes before a person authorised by the Election Commission an oath or affirmation that he will bear true faith and allegiance to the Constitution and will uphold the sovereignty and integrity of India. The Act amend the definition of the term ‘estate’ in Article 31A to include lands held under ryotwari settlement and also other lands in respect of which provisions are normally made in land reform enactments. It also amends the Ninth Schedule of the Constitution to include therein 44 State enactment relation to land reforms in order to remove any uncertainty or doubt that may arise with regard to their validity. The amendment provides for the creation of new States, namely, Punjab and Haryana as a result of the reorganisation of the former State of Punjab and the Union Territory of Himachal Pradesh. The Act modified Article 324 so as to terminate the jurisdiction of election tribunals to decide election disputes. The Amendment withdrew from the Election Commission the power of setting up election tribunals. The Act inserts a new Article 233A immediately after Article 233 in order to validate the appointment of District Judges, which might not have conformed fully to the different Constitutional requirements, which were in existent prior to 1966. It amended the Eight Schedule to the Constitution by including ‘Sindhi’ therein. The amendment conferred legislative power on Parliament for the purpose of creating and autonomous Hill State within the State of Assam. Accordingly, Parliament passed the Assam Reorganization (Meghalaya) Act 1969 to set up the State of Meghalaya within the State of Assam. It deals with the questions of reservation of seat in Parliament and State Assemblies for Scheduled Castes, Scheduled Tribes, and Anglo-Indian and further extends the period of reservation by another ten years, which means in effect thirty years from the commencement of the Constitution. It amends Article 13 and 368 with a view to removing all possible doubts regarding the power of Parliament to amend the Constitution and procedure thereof. It gets over the Golak Nath ruling and asserts the power of Parliament, denied to in the Golak Nath, to amend fundamental rights. The 25th amendment in the Constitution in 1971 added a new clause, Article 31C to the Constitution. Up to 1971, the position was that fundamental rights prevailed over the directive principles of State Policy and that a law enacted to implement a directive principle could not be valid if it conflicted with a fundamental right. Article 31C sought to change this relationship to some extent by conferring privacy on Articles 39(b) and 39(c) over Articles 14, 19 and 31. Previous articleHow East India Company Established British Empire in India? Explained. Sir it would be very helpful if you also add a particular section on important verdict which has been given by supreme court and high court as some of them you mentioned in this artical. Thnx can u plzz tell me more amendment…..